Has JJ gone too far? "VERY EXCITING NEWS! 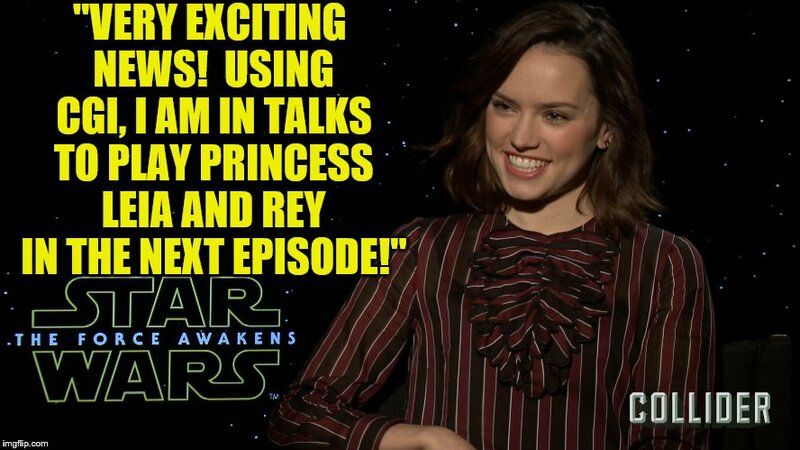 USING CGI, I AM IN TALKS TO PLAY PRINCESS LEIA AND REY IN THE NEXT EPISODE!"